On any Business Class flight, the journey starts already at the airport and nothing makes a trip more comfortable than a good airport lounge. 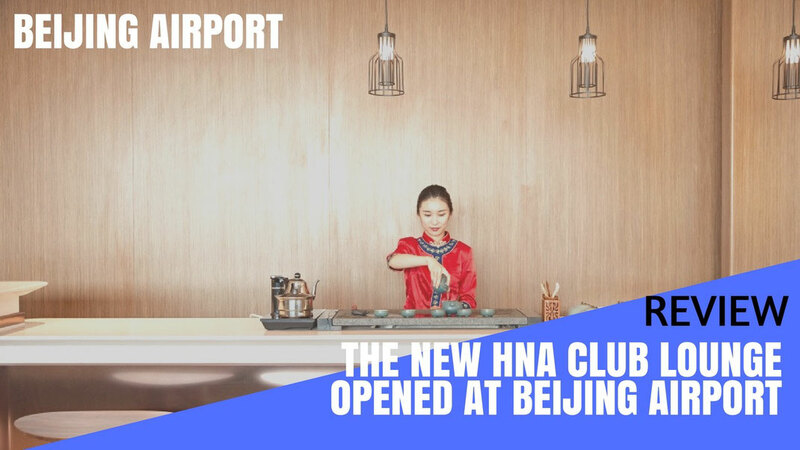 Finally, Hainan Airlines opened it's very own operated lounge at Beijing Terminal 2 the HNA Club, which is the airlines hub for all international flights such as to Calgary, Boston or Chicago. I have been to great lounges such as Cathay Pacific's Pier lounge in Hong Kong or Turkish Airlines lounge at Istanbul but the new Hainan lounge certainly sets a new standard for a Chinese Airline. The new highlight is the great food offered at the lounge and I want to take you on a culinary journey if you let me. Let's get started! Fried pork dumplings are a famous traditional Beijing snack containing fresh seasonal Ingredients such a pork stuffing and fresh vegetables from the region. 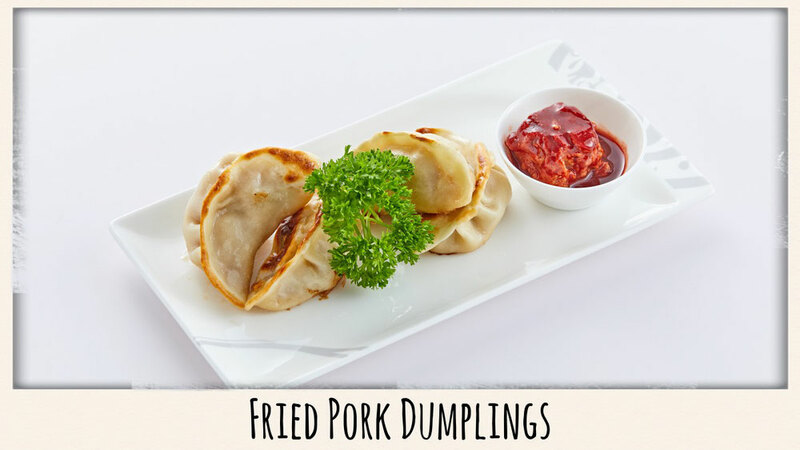 The shape of the fried pork dumplings differs by regions, usually found in the shape of two halves, crescent-shaped. The bottom side of the dumpling is fried to a dark yellow colour, crispy with a yet soft and tough cover, delicious filling. 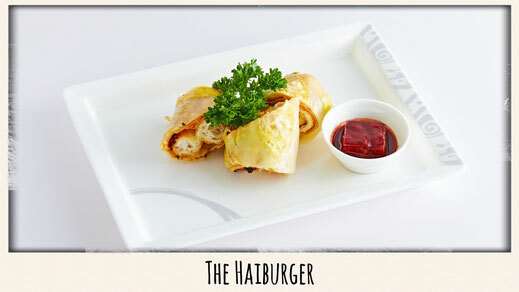 Haiburger is a famous Tianjin snack. Local Tianjin people see it as a breakfast snack. It is a flour-based paste. Put a ready to fry batter-spread onto a heated pan, generates steam dispersion with sweet perfume released into the air - that is the unique flavor of the grain. Best to taste when it comes right out of the pan, creamy outside while soft and crisp inside, salty and savory. A must have at the lounge. 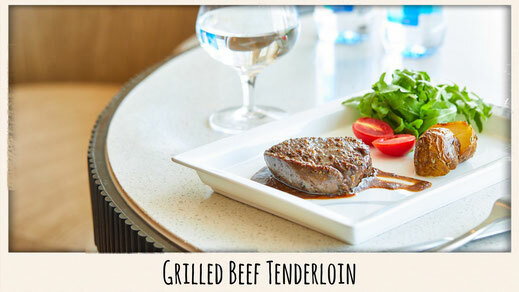 The Hainan Lounge also features great Western dishes such as a nice and juicy Tenderloin Steak. It is freshly made with from quality meat of the region. The Beef tenderloin is marinated with fresh pepper and spices in order to get the most out of the unique taste. It goes really well with a nice red wine or even a nice Chinese Tea. 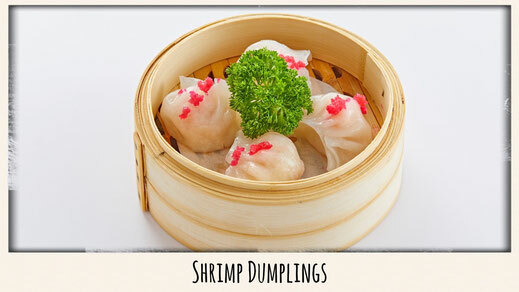 Shrimp dumplings are a Cantonese specialty which have their origin in Hong Kong. The superior shrimp dumplings come with a white and soft skin, as thin as paper, translucent, with visible filling, visually attractive, and freshly made. Shrimp dumplings are made in a very particular and exquisite way. It's an explosion of taste once the dumplings pops in your mouth. Have a try! 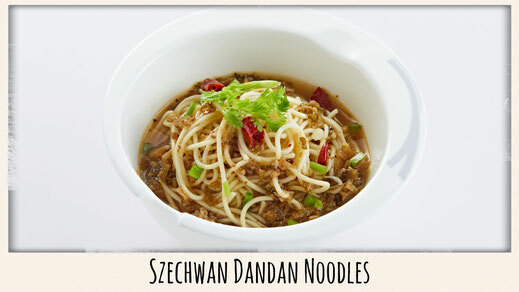 Szechwan Dandan Noodles are a traditional local snack which is said to be from the street sellers who used to sell them in Dandan. Dandan noodles are made from wheat flour, boiled and added with fried minced pork. The main ingredients include Red Chili Pepper oil, minced meat, bean sprouts, Szechwan pepper, minced garlic, pea and chopped spring onion. Be aware, it's quite spicy! China's Zhejiang area is rich in bamboo. It has a long history of growing, using and crafting with bamboo wood. Steaming the rice in a so called Bamboo tube is a tradition which isn't very common but helps to preserve all the flavors. 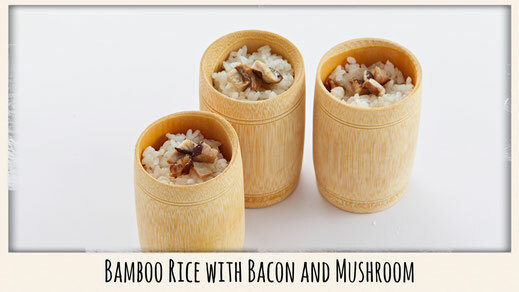 The tubes are mainly filled with rice, mushrooms, bacon, a bit of salt, before the are going to be steamed. Extremely tasteful! 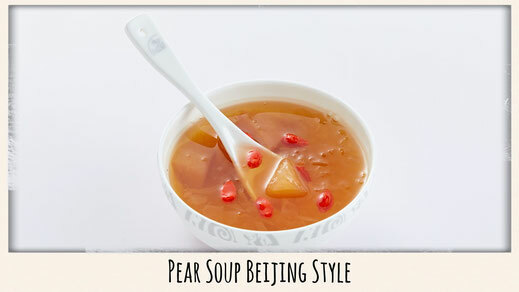 Xiaodiao Pear Soup is a popular Beijing dessert soup. You can find it everywhere in and around China's capital. Of course the HNA Club needed to include the Pear Soup by only using the freshest pears, white fungus, Chinese wolf-berry, red dates, rock candy and have it slow cooked for 6 hours. It is to be said that the soup has a great effect on your body. It can be served hot or cold, depending on the season. 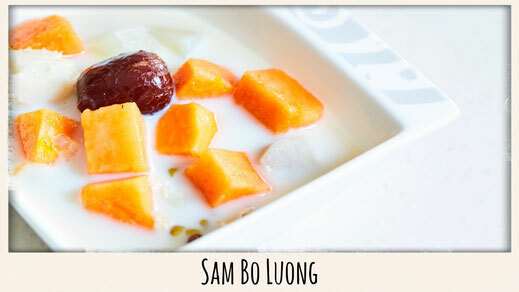 A bowl of chilled Sam Bo Luong is a great way to finish every meal. It is a famous dessert which originates from the actual Island of Hainan. It includes big chunks of red watermelon, dark red dates, long and curvy macaroni, fluffy white fungus, plump red beans (or green beans), white barley rice, black herbal jelly, golden corns, each one of the above stands out as a bright colour, finished with fresh coconut milk. 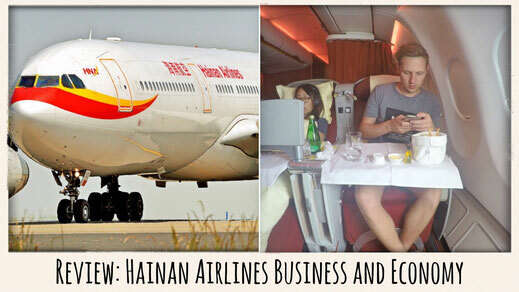 Last month I got to experience Hainan Airlines brand new Business Class as well as their Economy Product. 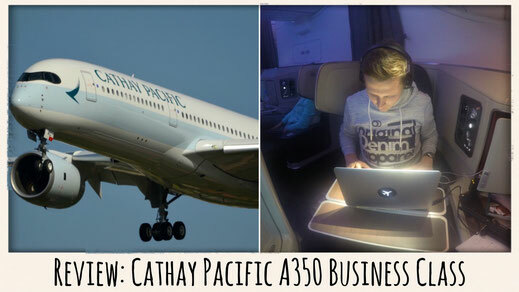 Check out the video to get a great impression of what to expect when flying the Haikou based carrier. You can also read my review here. The lounge finally matches the product and offers some great features. 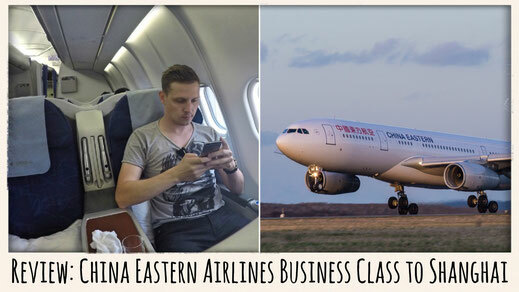 The food is of great quality, the lounge interior is great and can compete with other 5 Star airlines around the world. 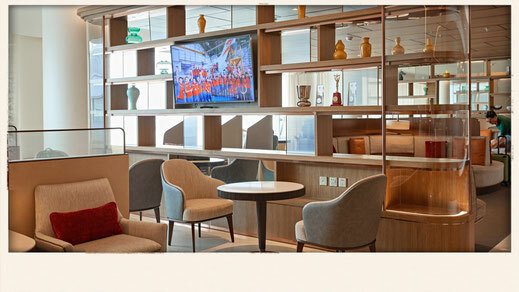 It was about time that there is finally a good lounge at your service in Terminal 2. 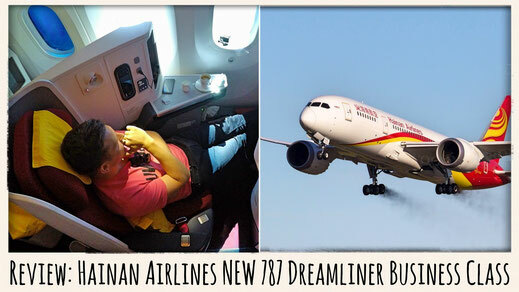 I was very satisfied and it completely changes your experience when departing from Beijing Terminal 2 as well as flying with Hainan Airlines. Another highlight is definitely the Tea Bar that lounges features. 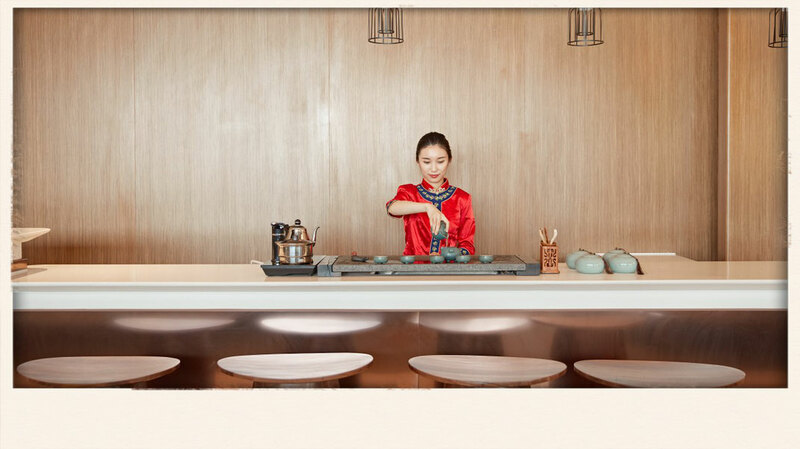 It offers a wide variety of traditional Chinese Teas from around the corner served in an authentic Chinese way. Well done.